Home » Smart skin: How do we know where we are being touched? Senses such as sight, touch or hearing should tell us how things are – no more and no less, because our actions, and ultimately our survival, depend on them. However, senses cannot afford the luxury of being confused but have to ‘guess’ how things are even when sensory input is unclear or insufficient. These guesses are automatic and unconscious, but smart in that they are based on prior experience with the world and are thus often correct. Our aim was to find out whether the velocity of movement of an object across the skin is important when the tactile system makes guesses about the location of the object. If something moves across our skin, does how fast it is moving make a difference to where we feel it stop? To test this, we moved a brush along people’s forearms, stopped the brush and asked them to point with their other hand to where they thought the brush was. We moved the brush at slow, medium or fast velocities. Crucially, we made the participants uncertain about the location of the brush by making it quickly skip a large area of the skin. The brush jumped a 10-cm gap. When the brush landed on the other side of the gap, it stopped and our participants pointed to it. We knew from our previous study that people would not notice the gap (Seizova-Cajic & Taylor 2014). Rather, they have the illusion that the brush moves continuously along the arm. Moreover, the two edges on opposite sides of the gap feel closer together than they are in reality. In the present study we found clear evidence for the influence of motion on perceived position: the velocity of the brush before it skipped the gap determined where people felt it had stopped after the gap. Note that the actual location of the brush was always the same after it crossed the gap. However, when the brush moved faster before the gap, its perceived end-position was further away and when it moved more slowly, its perceived end-position was closer. This difference is what one would expect from a smart system able to extrapolate motion (i.e. predict future positions based on past movement). Our findings indicate that when sensory input is unclear and the tactile system needs to guess the location of something touching the skin, it can use information on how fast the object was previously moving to help it make a better guess. Therefore, the perception of location on the skin and perception of movement across the skin interact. When we are touched on the skin, our perception of the location of the touch relies on our brain’s map of the locations of the sensory receptors in the skin, but it is not obvious how this map comes about. A moving object stimulates locations one after another in an orderly manner and could thus offer clues as to which skin locations are next to each other. Our finding of an effect of motion on perceived locations suggests that experience of motion of objects across the skin could help build and maintain the map of skin locations. Nguyen, E. H. L., Taylor, J. L., Brooks, J., & Seizova-Cajic, T. (2016). 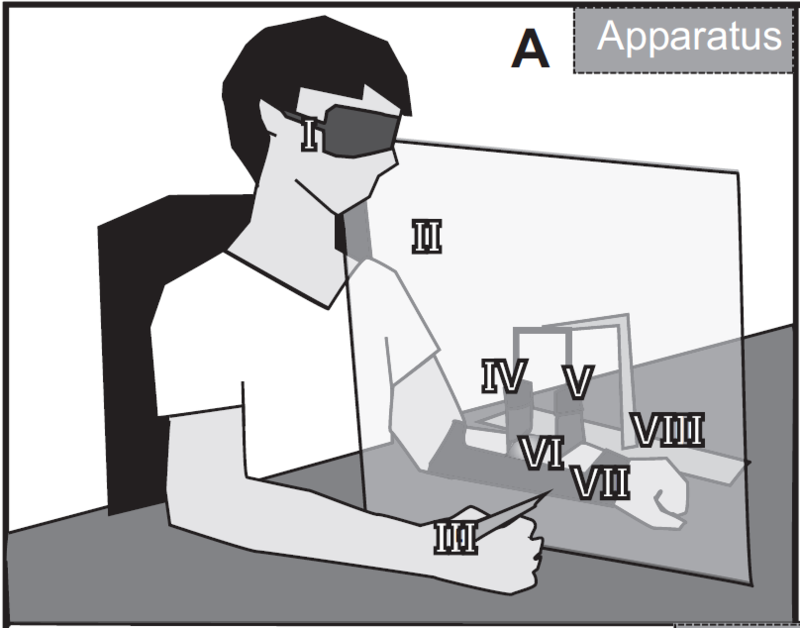 Velocity of motion across the skin influences perception of tactile location. Journal of Neurophysiology, 115, 674–684. http://doi.org/10.1152/jn.00707.2015.